Finally, it’s Christmas time! I wish you all a very Merry Christmas and Happy Holidays! 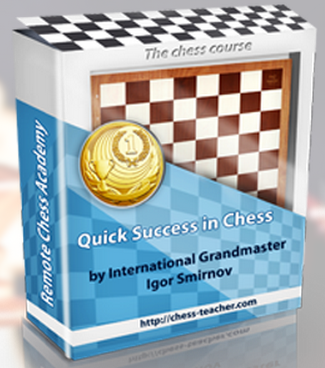 And the new course, “Your Top Chess Questions, Answered”, has been released today! The course contains my answers to students’ questions regarding my book, A Promoted Pawn: My Chess Journey. Now you may continue studying the article, and enjoy the well-thought ideas about the interconnection of chess and life. The days are running and we have about 10 days to Christmas – so let the countdown begin! To start with, I have some important information to share with you. Our next course is almost ready and we will release it soon. The course contains my answers (and even more) to the students’ questions regarding my book, A Promoted Pawn: My Chess Journey. 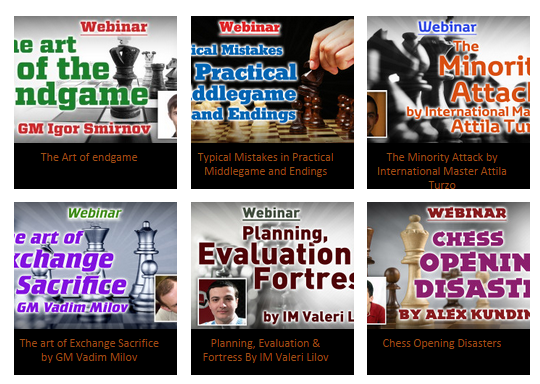 The name of the course is “Your Top Chess Questions, Answered”. I’ll not reveal all the information now. So, stay tuned as will announce more information in the following days. Nevertheless, we’re providing you with an opportunity to register in advance, to the course. The pre-registration is open! By pre-registering yourself now, you will be able to get EXTRA SPECIAL OFFERS during Christmas and the New Year! Additionally, we’d like to know your overall feedback about RCA while you pre-register. You can share your thoughts like what you liked about RCA in 2015 or, what you would like to see happen in RCA in 2016, areas you think we need to improve and so on. 2015 has been a great year for most of the RCA students. There is no doubt about that! Many students have shared their success stories with us in recent times – students defeating titled players, gaining more than 100 rating points, winning tournaments and so on. Another student whose Internet blitz rating went instantly +200 points…. …and following that, another RCA student, V. Ap Karthik, took part in the recent FIDE Open in the London Chess Classics. And, he defeated GM Roman Edouard in the second round, who is rated more than 300 points above him! First, let me congratulate Karthik with such awesome achievement! Gaining a victory against a 2600+ GM, who is 300 rating points ahead, is something very memorable! Karthik finished with an impressive rating performance of 2530 with 6.0 points out of 9 rounds. Besides his victory of GM Edouard, he held two more GMs to draw, and defeated an IM. You can find his performance in the tournament here. Moreover, Karthik’s impressive victory over GM Edouard was discussed in ChessBase India’s article at the end of the third round. And, I’d like to share that article with you. In the FIDE Open, the day’s play witnessed double rounds, and all Indians performed well. While Tania Sachdev stumbled to a draw in the second round and Vishnu Prasanna was forced to repeat positions in the third round, V. Ap Karthik posted an upset victory over French GM Roman Edouard who is rated more than 300 points above him. The Indian star of the day was young Karthik who decimated higher rated French GM Romain Edouard (2627). In the third round, he held IM Jeorge Wegerle (2440) to a draw. Over the years, Karthik has been steadily progressing and is a talent to watch out in the Indian circle. Karthik was Black here and clearly better. What do you think about 27…Nd4? Black played 27… Nd4 to which the French grandmaster played 28. c3, when Karthik replied 28…Nxb3 29. cxb4 Nxd2 30. Nxd2 Qxd3 31. Nf1 cxb4. Black has a rook and three pawns for two knights, and of course, is completely winning. You can check the whole game with annotations here. Additionally, Karthik shared a similar ‘success story’, where he shared first place in a tournament with 3 GMs, last year also! You can find that article here. Finally, I’d like to say that I’m very delighted to see such amazing performances by the RCA students regularly. These speak for the QUALITY information of our courses and lessons! And, if you have your own story, please, share it with us by contacting us. We’ll be glad to publish it in our site and other students will be very happy to see such information. P.S. Stay tuned as we will reveal some hot news about our upcoming course in the following days. Today, I’m glad to present to you a very special article. This time, it’s not written by me or any regular member of our RCA team. The author is an RCA student, just like YOU. He wrote an interesting comment for one of the blog-posts. So I’ve asked the student, Luca, to extend his idea to an entire article. You can find the conversation in the comments section of this article. Luca Valsecchi is an 1826 ELO FIDE chess player. Apart from his beloved family, his main interest is music: he plays guitar and writes songs for a band called Ondealfa. He has a Master’s degree in electronic engineering and works for a global company. Now you may read Luca’s article and enjoy the well-thought ideas about the interconnection of chess and life. What are the deep connections between chess and real life? Wouldn’t it be great if we could apply what we learn during our chess training to our other fields of interest? How can chess bring more happiness into our life? Let’s address these interesting topics straight away! The second World Champion, Emanuel Lasker, was one of the first that drew a parallel between chess and life. He was an excellent chess player that achieved probably unsurpassed practical competitive results. But he was also a mathematician and a philosopher, and he came to the conclusion that, in many respects, chess is an accurate model of the encounters we face of real life. Further, he wrote extensively on that in his main works Common Sense in Chess and Lasker’s Manual of Chess. The links between chess and life are numerous, and exist on many levels. This is because chess is a multifaceted game, rich of different characters (the pieces and pawns), and very varied situations. During a well contested game, the ideas and skills of the players are put one against the other and the best are rewarded. I personally look at a game of chess, even at a competitive level, as a healthy, enriching, and ultimately peaceful encounter between two people. Yes, there is a struggle, a competition, but it should always be a positive and fair one. The fact that chess mirrors life adds a lot to its practical value. It means that the methods that work in chess (for playing and for training) most likely work in real life, too, and this is a huge asset indeed! Of course, one must learn and master the right methods first. Wrong methods will produce wrong results, and who would want to bring his/her weaknesses in chess playing over to real life? What are the right methods in chess? 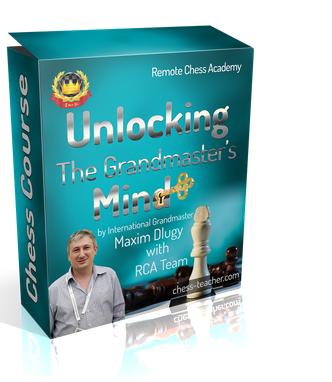 Easy, the ones described in detail in the full offer of RCA courses! Now, let’s try to map some typical chess facts, principles, and skills on the vast realm of real life! To win games and make progress in chess, we have to train and establish the attitude of self-confident, independent thinking. Generally speaking, we should become independent from pre-conceived opinions that we have accepted or are accepting from others without any personal criticism. Once a friend of mine told me, in all seriousness, “Nimzowitsch had his system, I have mine!”. Now, as ridiculous and overstated as this was, it is a bold statement that goes in the right direction. Of course, we have to learn a lot of things from strong players, but to be able to find good moves in any position we literally have to build our own system. Consistently, that same friend never trusts a move from a chess engine, even a 3300 ELO one. He would say: “He is drunk!” or something similar, and try to verify matters by himself; this is also a good approach. During an over-the-board chess game, we must rely on and trust our ability to find adequate solutions in real time, without external help. The more such solutions are original, hidden, or unexpected, the more the chances are for us to win the game. To find them, we must be willing to put effort into searching in an objective way, analyzing the position, so to say, from scratch, with an open mind. Note: you can get the premium video “My Thinking System” here! This leaves no place for laziness. We should never go “the easy way” based on some unchecked assumptions, generalities, or authority’s opinions. For example, based on a generic assumption, we may enter into an opposite-colored bishop ending in order to draw a game. Then we discover that, in this specific situation, our position is nevertheless lost for some quite evident reason. And perhaps our opponent saw just that and happily accepted entering into that same ending! In the same way, especially in chess books published in the pre-computer era, trusting blindly in what we read in print is often NOT very wise. From my personal experience, I felt very proud when studying the following instructive position (found in Lasker’s Manual of Chess, p. 117, Dover edition). I found a little fault in it, which anyway does not detract from the beauty of this study. Can you find the best move for White and calculate it till the end of the line? Please test your independent thinking process and then continue reading the article. 6.Nc6 The rook on c2 and the bishop on e4 are interfering: when the knight is taken, the squares a8 and c8 cannot be controlled simultaneously. 6…Rxc6 (6…Bxc6 7.c8=Q+ and wins) 7.a8=Q and White wins! In real life, independent thinking makes us different from all others. It also makes us less vulnerable to suggestions and manipulation from other people, in person or through the media that want us to do or behave as they wish. Independent thinking is the only way to find innovative things, whether they be new concepts, new business opportunities, or works of art. In life, as in chess, we have to find our own goals and the ways to achieve these goals; and for this, we have to become an independent thinker. Every time you see an obvious move or someone approaches and offers you something on a silver platter, just stop and think: “Hmm, wait a minute…”! Don’t forget to let us know what you need for Christmas and the New Year! We’re conducting a survey in order to hear your thoughts about special offers and prizes. The survey is very short and has only six simple questions. It will take you only two minutes to complete it. P.S. Stay tuned, as the second part of this article will be published in the following days! Additionally, feel free to write in the comments below your impressions of this article from Luca, an RCA student (someone just like YOU). This is the second part of the article prepared by IM Saravanan, featuring the first game of the World Chess Championship match 2014, Sochi, between Vishy Anand and Magnus Carlsen. If you missed the first part, you can check it out here. Now, let’s continue with the game! “Less is more” really is a very nice quote by Mies Van der Rohe. Sometimes, simple and logical decisions are the best ones. This applies to chess as well. If you UNDERSTAND the game, you can easily find the best moves at any position. To help you understand this more clearly, IM Valeri Lilov has published the highlights of the tenth round of the recent Indian National Premier Chess Championship. Let’s take a look at a position from the game. It’s a position with opposite side castling and both players are trying to make a strong attack. Speaking of which, White played f4. What do you think about this move? Does this move stick to the PLAN of the attack? Also, think about Black’s continuation here. After calculating all these, you can watch the video below and learn the 3 most important principles of a chess game!